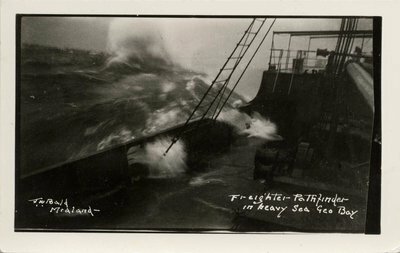 Real Photo postcard of the Upper Lakes Shipping steamboat PATHFINDER on Georgian Bay in fairly heavy seas. Reverse: "Real Photo Post Card J. W. B."